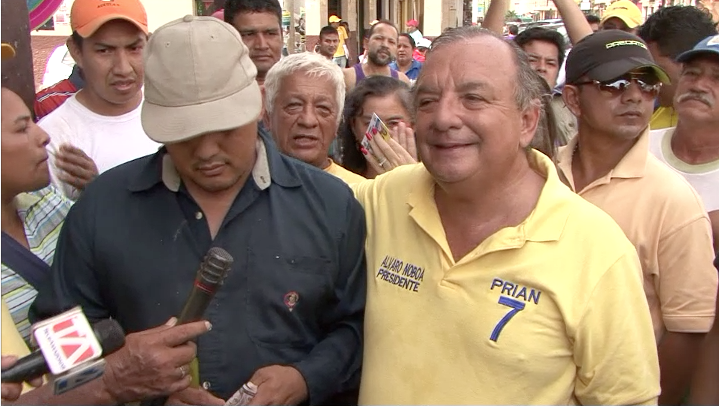 During his visit to the El Oro province, in the Santa Rosa region where he was received by a crowd of people, a blind supporter approached the PRIAN leader to greet him. The opportunity was taken by Álvaro Noboa to give him $200 in order to start up his own small business that will allow him to earn a living. Noboa wished him the best of success. “Keep believing and keep moving forward. May God bless you!